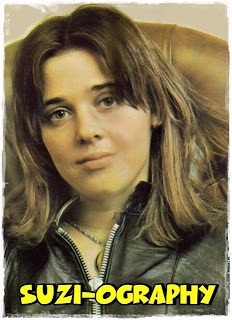 In the 1970s Quatro scored a string of hit singles that found greater success in Europe and Australia than in her homeland. 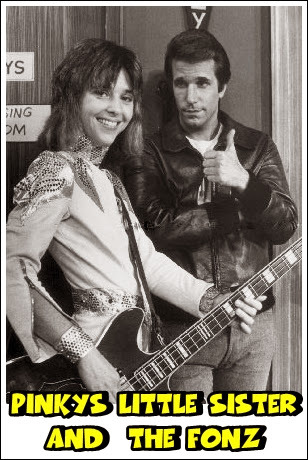 But, following a recurring role as a female bass player on the popular American sitcom Happy Days, her duet "Stumblin' In" with Chris Norman reached number 4 in the USA in 1979. Between 1973 and 1980 Quatro was awarded six Bravo Ottos. In 2010 she was voted into the Michigan Rock and Roll Legends online Hall of Fame. Quatro has sold over 50 million albums and continues to perform live, worldwide. Her most recent album was released in 2011 and she also continues to present new radio programmes. In 1964, after seeing a television performance by The Beatles, Quatro's older sister, Patti, had formed an all-female band called The Pleasure Seekers with two friends. 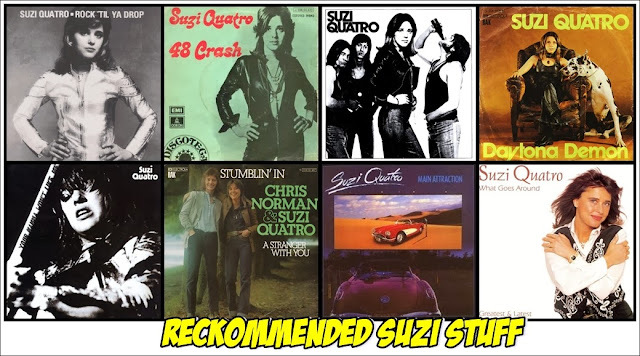 Quatro joined too and assumed the stage name of Suzi Soul; Patti was known as Patti Pleasure. The band also featured another sister, Arlene. Many of their performances were in cabaret, where attention was (initially) focussed more on their looks than their music. They sometimes wore mini-skirts and wigs, which Quatro later considered to be necessary evils in the pursuit of success. 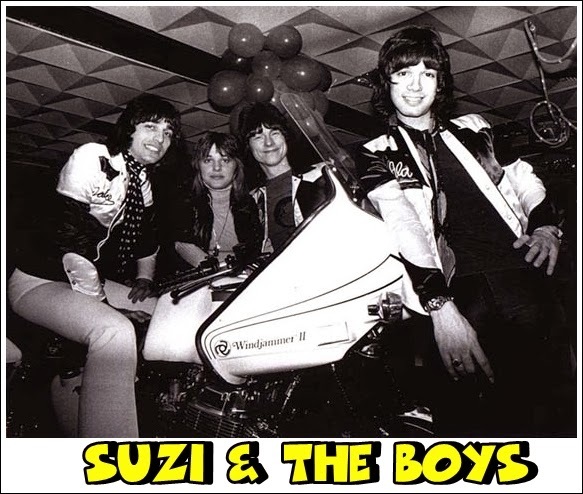 One of the few all-girl garage bands who played their own instruments, they recorded a fine, gritty single for the local Hideout label, "Never Thought You'd Leave Me"/"What a Way to Die" (both sides were reissued in the 1980s on the What a Way to Die '60s garage compilation). Another single followed for Mercury, and the group even toured Vietnam to entertain troops. In 1968, though, Arlene quit the band to raise her kids (one of whom is actress Sherilyn Fenn), to be replaced by yet another sister, Nancy. After her first single flopped, Most hooked her up with songwriters Mike Chapman and Nicky Chinn, who were also supplying material to the Sweet. 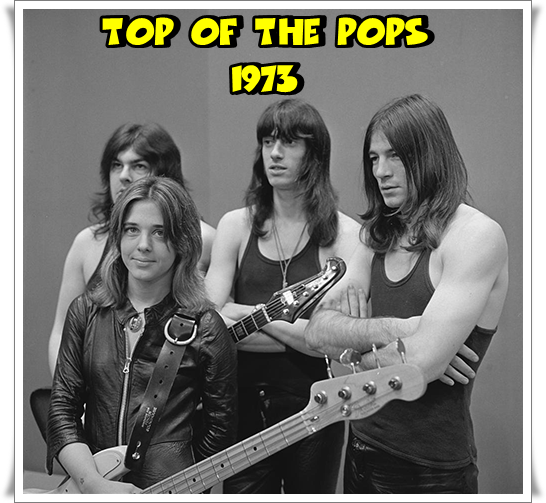 The Chapman-Chinn-penned "Can the Can" went to number one in the U.K. in 1973, and over the next few years the same team would write about ten other British chart hits for her, including four Top Ten entries. These fused glitter and bubblegum in much the same way as the Sweet did, though Quatro was perhaps a tad raunchier (without ever getting downright scary). Quatro and her guitarist (and husband) Len Tuckey did write some of her material, though these efforts were usually confined to albums. In the U.S., though, she could barely get into the Top 100, though she did get on the cover of Rolling Stone. In autumn 1972, Quatro embarked as a support act on a UK tour with Thin Lizzy and headliners Slade. 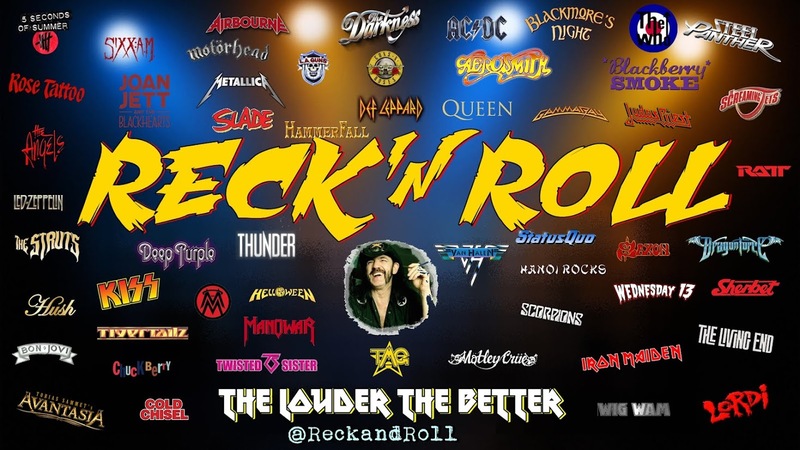 RAK arranged for her to use Thin Lizzy's newly acquired PA system during this, incurring a charge of £300 per week that enabled the Irish band to effectively purchase it at no cost to themselves. In May 1973, her second single "Can the Can" (1973) - which that drooling nitwit Philip Auslander described as having "seemingly nonsensical and virtually unintelligible lyrics" – was a number one hit in parts of Europe and in Australia. "Can the Can" was followed by three further hits: "48 Crash" (1973), "Daytona Demon" (1973), and "Devil Gate Drive" (1974). "Can the Can", "48 Crash" and "Devil Gate Drive" each sold over one million copies and were awarded gold discs, although they met with little success in her native United States, where she had toured as a support act for Alice Cooper. 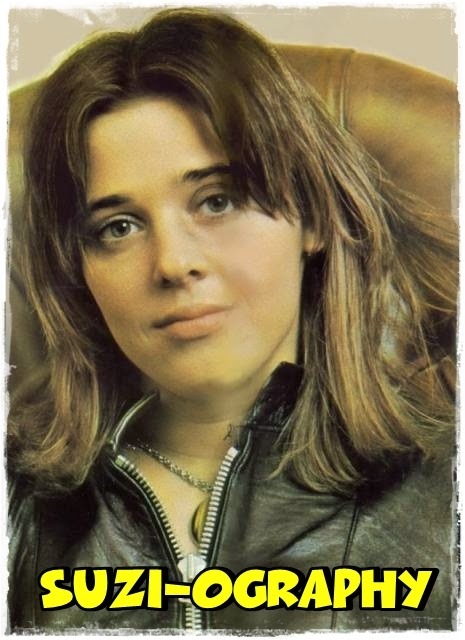 RAK artists had generally not succeeded in the US and her first album, Suzi Quatro, was criticised by Alan Betrock for its lack of variety, for its Quatro-written "second-rate fillers" and for her voice, described as "often too high and shrill, lacking punch or distinctive phrasing." Writing for Rolling Stone, Greg Shaw was also downbeat, saying that the album "may be a necessary beginning". Musicians who acted as her backing band around this period included Alastair McKenzie, Dave Neal and Len Tuckey with Robbie Blunt also being listed by some sources. Tuckey's brother, Bill, acted as tour manager. With the exception of Australia, her chart success faltered thereafter until a change to a more mellow style produced the 1978 single "If You Can't Give Me Love" that became a hit there and in the United Kingdom. Later that year, "Stumblin' In", a duet with Chris Norman of the band Smokie, reached number 4 in the U.S. Both tracks featured on the If You Knew Suzi... album. 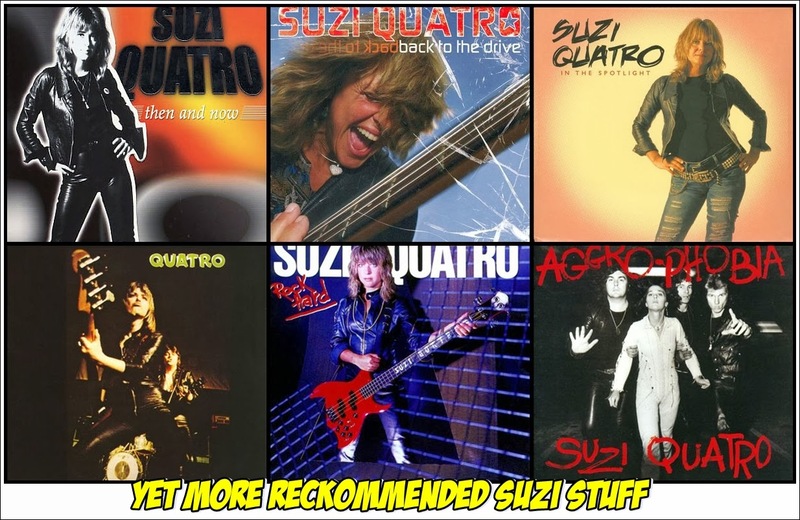 A year later, Quatro released Suzi...and Other Four Letter Words, which she called her favourite album.[when?] 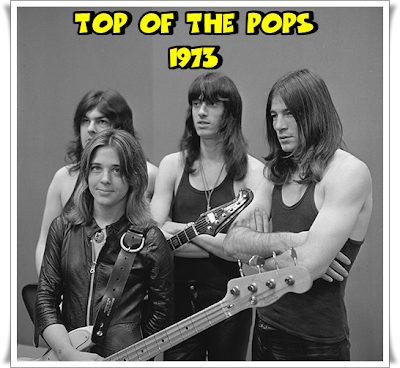 This featured the hits "She's in Love with You", which made number 11 in Britain, "Mama's Boy" (number 34), and "I've Never Been in Love" (number 56). In December 2005, a documentary chronicling Quatro's life, Naked Under Leather, named after a 1975 bootleg album, recorded in Japan, directed by former member of The Runaways, Victory Tischler-Blue, appeared. In February 2006, Quatro released Back to the Drive, produced by Sweet guitarist Andy Scott. The album's title track was written by her former collaborator, Chapman. In March 2007, Quatro released a version of the Eagles song "Desperado", followed by the publication of her autobiography, Unzipped. By this time, Quatro had sold 50 million records. On 11 June 2010, she headlined the 'Girls night out' at the Isle of Wight Festival. Quatro was also inducted into the Michigan Rock and Roll Legends online Hall of Fame in 2010, following an on-line vote. In August 2011, Quatro released her fifteenth studio album, In the Spotlight (and its single, "Spotlight"). This album is a mixture of new songs written by Mike Chapman and by herself, along with cover versions. A second single from the album, "Whatever Love Is", was subsequently released. On 16 November 2011, a music video (by Tischler-Blue) for the track "Strict Machine" was released onto the Suzi Quatro Official YouTube channel. The track is a cover of Goldfrapp's "Strict Machine", but Quatro's version contains two lines from "Can the Can", referencing the similarity of the tunes for the two songs. In April 2013, she performed in America for the first time in over 30 years, at the Detroit Music Awards, where she received the Distinguished Lifetime Achievement Award, presented to her by her sister, Patti. As of September 2013 Suzi is currently working on an anthology 6-CD box set with her record company CherryRed records in the UK. 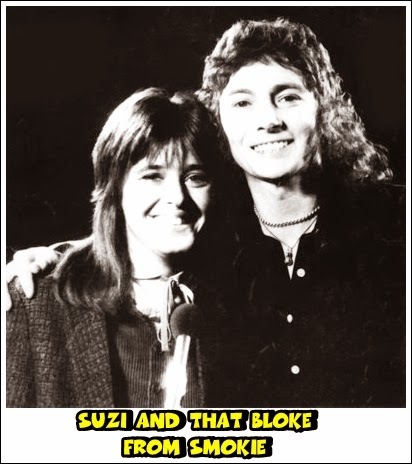 This will have some new material on it, Suzi has said that Mike Chapman has written her another hit which will be nicely placed into the anthology of hits that he has already written for her with Nicky Chinn. The Anthlogy yet to be titled is scheduled for release in the first half of 2014. 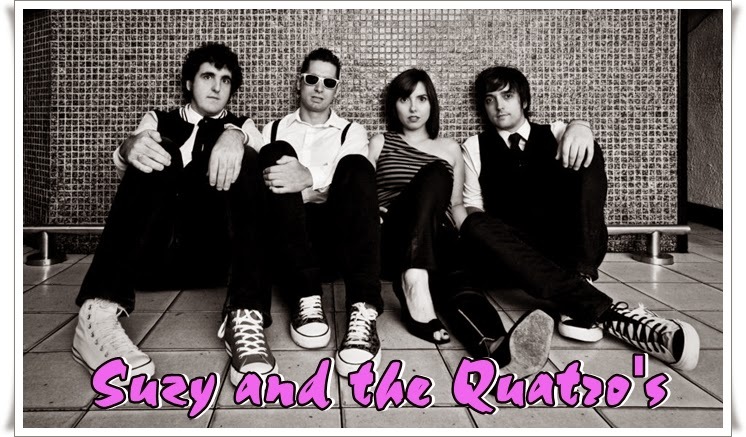 A Spanish rock band called Suzy & los Quattro released two albums on No Tomorrow in 2006 and 2008; in the tradition of Ramones and the Donnas, all of the bandmembers except for Suzy Chain list their last name as Quattro. When I heard that Suzi was opening for Alice Cooper on the "Nightmare" tour, I went crazy! I was 14 and totally in love with her. "Your Mama Won't Like Me" was a single and I fell in love with it. When she hit the stage that night, the electricity was incredible! They were incredible. We were about 20 ft from the stage, and she was a vision in the spotlight! Its a memory I will always treasure. Thanks for this awesome post.